As stars like the sun approach the ends of their lives, and begin to run out of fuel, they expand and cool, and become red giant stars. During this stage, they become unstable and begin to pulsate -- at first with a very small amplitude, but eventually with a very large amplitude. The pulsation helps to drive off the outer parts of the star, producing a shell of gas and dust around the dying star, leaving behind a remnant white dwarf core. For a few thousand years before it cools, the hot white dwarf "lights up" the gases around the star, and we may see them as a beautiful planetary nebula. The gases expelled from the central star were once the outer layers of a pulsating red giant. This composite color image was selected to commemorate the 10th anniversary of the Hubble Space Telescope in orbit. The first pulsating red giant variable star (Mira) was discovered in 1596 by David Fabricius (1564-1617) -- the 400th anniversary of this event was recently celebrated at the 85th AAVSO Annual Meeting held in Cambridge, MA in 1996 (Journal of the AAVSO Volume 25, Number 2, 1997). In the three centuries following, dozens more "Mira stars" were discovered, at first visually, and later photographically. In 1930, Joel Stebbins and Charles Huffer published a study of the variability of about 200 bright red giant stars, using the then-new technique of photoelectric photometry. In this remarkable pioneering study, they found that cool red giants varied in brightness by up to a few tenths of a magnitude. The cooler the star, the larger the amplitude. In the 1990's, several groups, using even higher-precision photometry, discovered that warmer red giants (the K5-M0 III stars) also varied in brightness due to pulsation, but with amplitude of only a few hundredths of a magnitude. About 10 per cent of stars observable with the unaided eye are pulsating red giants, spectral type K5 or cooler, mostly with very small amplitude. The Mira stars are just the tip of the iceberg! EU Delphini was one of the first of these to be identified, and it is well-studied (Percy, Landis, & Milton 1989) and typical. Its variability was discovered visually by Rev. T.E. Espin, and reported in "The English Mechanic and World Science" in 1895. By the mid-1900's, its period was known to be about 60 days. In The General Catalogue of Variable Stars, it is classified as SRb, with a V range of 1.11 magnitudes, and a period of 59.7 days. This has since been refined to 62.7 days by the AAVSO photoelectric photometry program, and by photometry with a robotic telescope. The variability is, however, semi-regular, and there are also long-term variations on time scales of years -- enough variability to keep both visual observers and photometrists interested and busy! EU Del is located north off the back of the dolphin, about 2.5 degrees north of Alpha Del. Along with the similar variable U Del, EU Del is located just north of the dolphin constellation of Delphinus. Both variable stars are about sixth magnitude, both have a conspicuous reddish color, and both have a total amplitude of about a magnitude, so they are fun binocular variables. EU Del shares an 'aa' and 'b' scale visual chart with the variable star HR Del. Visual observations may then be submitted to AAVSO Headquarters. For those who wish to observe with a photoelectric photometer (and we recommend this), an AAVSO photoelectric photometry chart is available, showing both EU Del and U Del, and complete with comparison and check stars. (This is currently the only photoelectric chart we have available online, but we will have more in the upcoming months!) Observers interested in participating in the AAVSO Photoelectric Photometry program should contact AAVSO Headquarters for more information. Photoelectric light curves of five pulsating red giants. The figure to the right shows the photoelectric light curves of five pulsating red giants. The time scales are identical -- 200 days in the right-hand panels, and 5000 days on the left. The data come from a robotic telescope (Percy, Wilson, & Henry 2001) -- the second-largest database of photometry of these stars. TV Psc, EG And, and RZ Ari are normal red giants. Z Psc and 4 (Omicron-1) Ori are chemically-peculiar red giants; chemical elements such as carbon have been "dredged up" from the interior, as explained below. Note the range of period and complexity of these stars, both on short and long time scales. EG And has a long period of 240 days, and is in a binary orbit with exactly twice this period, so the slow variations must be related to the orbital motion in this case. The figures below show (1) the photoelectric light curves of EU Del during 6 seasons, and (2) the power spectrum of over a decade of data. In power spectrum analysis, the data are fitted with sine curves of frequencies (frequency is the inverse of period) ranging from zero to some maximum value, and the goodness of fit is determined. Where there is a good fit, there is a peak in the power spectrum. In this figure, there is a peak at 0.0159 cycles per day, corresponding to a period of 62.7 days. There are also several other peaks, many of them equally spaced around the main one by a multiple of one cycle per year. These are called "alias periods", and they occur because the data have seasonal gaps. Also shown (3) is the visual light curve of EU Del from the AAVSO International Database, which contains nearly 20,000 observations for this star. (1) Seasonal photoelectric light curves of EU Del. (2) Power spectrum of over a decade of measurements of EU Del. (3) AAVSO visual light curve of EU Del from 1950 to 2000. Why Are Pulsating Red Giant Stars Important? Pulsating red giants (apart from the Mira stars) have been much less studied than the Cepheids for instance, mostly because of their irregularity; it takes years or decades of observations to fully understand these stars. In the 1970's, the late Olin Eggen spent several years surveying, studying, and classifying these stars. In a series of papers (e.g. Eggen 1973), he defined small-, medium- and large-amplitude red variables (SARVs, MARVs and LARVs), and even a group of ultra-small-amplitude variables which he called "Sigma Librae Stars". The "official" classification scheme of the General Catalogue of Variable Stars divides pulsating red giants into semi-regular (SR) variables with either "persistent periodicity" (SRa) or "poorly expressed periodicity" (SRb); there are also slow irregular (L) variables. Pulsating red supergiants are classified by analogy as SRc or Lc. Now we know that there is a complete spectrum of behavior among the red giants, from almost periodic to quite irregular, and from the almost-constant K5 giants, to the hypervariable Mira stars with spectral types M9 or cooler. If EU Del were placed at the center of our solar system, its radius would extend nearly to the orbit of Venus. So why observe EU Del and its relatives? One reason is because they are extreme stars -- up to hundreds of times bigger than the sun in radius. With a radius of over a hundred times the sun's, EU Del would engulf the inner solar system, as it pulsed every two months. Its volume is over a million times the sun's, and its average density over a million times less. The atmosphere of a red giant is like a terrestrial vacuum! Red giants are also extreme in color -- among the coolest stars known. Most of their energy is emitted, not in visible but in infra-red radiation. A second reason is because the physical processes within them are not well understood. Throughout most of the star, energy is carried outward by convection rather than radiation, and convection in astronomy is a poorly-understood process. Convection cells in the outer layers of the sun are seen as "granules" in high-resolution images. In red giants, convection cells may be very large, and give the stars a "polka-dot" appearance. But we don't know, because we have not (yet) seen a red giant "up close and personal". [In a few billion years, when the sun becomes a red giant, we will see a red giant too close for comfort!] Some red giants are also bizarre in the sense that their outer layers are "polluted" by common chemical elements such as carbon, and rare chemical elements such as technetium, which are "dredged up" from the nuclear furnaces in their interiors by convection currents. A third reason is because, although red giants are numerous among the stars observable with the unaided eye, they are actually quite rare in space. This is because they occupy only a small fraction of the life of a star. The nearest red giant (the first-magnitude Gamma Cru, in the Southern Cross) is about 88 light years away. Prior to the 1990s, the distances to red giants (and hence their luminosities) were not accurately known. Thanks to the Hipparcos mission (1989-1993), the distances to many red giants are now accurately known. The distance to EU Del is about 360 light years. Only a few red giants have well determined masses. The mass of a star can be measured directly only if the star has a binary companion. In the case of a red giant, the companion would have been swallowed up if it was too close to the evolving star. If it was much further away (as in the case of the companion of Mira), the orbital period would be centuries or more. EU Del is probably slightly more massive than the sun; the larger a star's mass, the shorter its lifetime, and EU Del is already approaching the end of its life. The radii of red giants are not only difficult to measure, but they are also difficult to define, because of the tenuous nature of their atmospheres. At wavelengths at which the atmosphere is very opaque, the star looks much larger. Much progress is now being made, using optical and infra-red interferometers to resolve and measure the diameters of these stars (Van Belle et al. 1999). It may even be possible to see the "polka-dot" pattern of the convection cells. EU Del has an angular diameter of about 0.001 arc sec -- easily resolvable by an interferometer. How do we know that red giants are pulsating? One way is because their periods are consistent with the time-scales expected for radial (in-and-out) pulsation; this was one of the first results of the AAVSO photoelectric study of these stars (Percy & Parkes 1998). The "clincher" is to observe the in-and-out pulsation by measuring the Doppler effect in the spectrum of the star. Irene Cummings (1999) recently completed a PhD thesis project in New Zealand, observing the pulsation of some southern red giants both photometrically and spectroscopically. With interferometers, it is now possible to observe the expansion and the contraction of the star directly. The pulsation is "driven" by the same process that drives other kinds of pulsating stars -- the "heat engine" effect of the ionization of hydrogen and helium. As the pulsating star contracts, these elements absorb radiation and become ionized. As the star expands, this ionization energy is released, giving an outward "push" which keeps the pulsation going -- just as a carefully-timed push on a playground swing keeps the occupant swinging, happily. Any object, whether the air in a bugle or the gas in a star, can vibrate in various "modes" or harmonics. A skilled musician can make the air in a bugle vibrate in a series of harmonics, producing the familiar notes of a bugle call. Likewise, stars can pulsate in different modes, either at different times, or at the same time. Kiss et al. (1999) analyzed AAVSO visual measurements of larger-amplitude red giants, and found that many of them had two periods with a ratio of about 2:1. Multiperiodicity could explain some of the irregularity of these stars. Several red giants in the AAVSO photoelectric program -- notably W Boo and W Cyg -- appear to pulsate in different modes at different times. What causes this is not understood. Nor is the cause of the long-term variations in the brightness of these stars. Irene Cummings believes that they may be connected with the rotation of the star. Peter Wood has suggested that they may be due to some strange new kind of pulsation. As noted above, the long-term variations of EG And must be related to orbital motion, but this does not appear to be the case in other red giants. 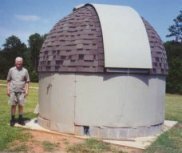 When the AAVSO photoelectric photometry program was established in the early 1980's, Mira stars and their relatives were a large part of the visual observing program. For a few dozen of these stars, however, some or all of the variations were too small to be observed effectively by visual techniques and became the core of the new AAVSO photoelectric program. Now, almost two decades later, the AAVSO has the largest and longest database of photometry of bright, pulsating red giants, consisting of over 50 such stars, including almost 1000 observations of EU Del over 18 years (Percy et al. 1996, 2001). As a result, we now know that most pulsating red giants have an underlying period (or two) in the range 10-200 days, which is due to pulsation. Many red giants have an additional period of hundreds to thousands of days, whose cause is unknown. Howard J. Landis, the first AAVSO PEP observer of EU Del, and the PEP Archivist and Committee Chair, has played an important role in monitoring this and other stars in the AAVSO PEP program. There is still much to be learned about pulsating red giants, both Mira stars and the much more numerous small-amplitude variables like EU Del. AAVSO photoelectric observers monitor these "SARVs" every few nights, and some have done so for a decade or more, uncovering new insights about the last stages of the lives of stars like our own. For more information about the AAVSO Photoelectric Photometry Committee and the stars contained in the program, be sure to visit the committee web pages. Previous related Variable Stars of the Month articles include: Mira, the first-discovered pulsating red giant (December 1998); Z UMa, a pulsating red giant with an amplitude of 2-3 magnitudes (March 2000); and CH Cyg, a pulsating red giant with a hot companion star (August 2000). Cummings, I., 1999, J. Astron. Data, 5, #2. Eggen, O.J., 1973, Astrophys. J., 184, 793 (and references therein). Kiss, L.L., Szatmary, K., Cadmus Jr., R.R., & Mattei, J.A. 1999, Astron. Astrophys., 346, 542. Percy, J.R. 1997, JAAVSO, 25, 93. Percy, J.R., Landis, H.J., & Milton, R.E. 1989, Publ. Astron. Soc. Pacific, 101, 893. Percy, J.R., & Parkes, M. 1998, Publ. Astron. Soc. Pacific, 110, 1431. Percy, J.R., Desjardins, A., Yu, L., & Landis, H.J. 1996, Publ. Astron. Soc. Pacific, 108, 139. Percy, Wilson, and Henry 2001, PASP, August 2001, in press. Stebbins, J., & Huffer, C., 1930, Publ. Washburn Obs., 15, 138. Van Belle et al. 1999, Astrophys. J., 117, 521. This month's Variable Star of the Month was prepared by Dr. John Percy, University of Toronto, editor of the AAVSO Photoelectric Photometry Newsletter.